Moderator – Rev. Sebastian Jones Cong. Orat. 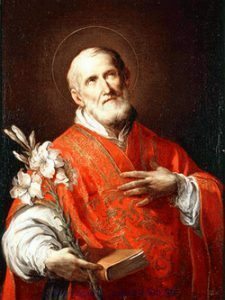 The Congregation of the Oratory of Saint Philip Neri is a pontifical society of apostolic life of Catholic priests and lay-brothers who live together in a community bound together by no formal vows but only with the bond of charity; they are commonly referred to as ‘Oratorians’. The Oratorians commit themselves to membership in a particular, independent, self-governing local community without actually taking vows. Members of the Oratory spend the day involved in various ministries: teaching, parish work, spiritual direction, campus ministry, hospital chaplaincies, administration or maintaining the fabric of the community house.